That moment of pride for Indians! 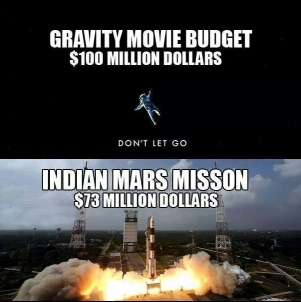 | Tamil Cinema in Outer Space ! Mangalyaan is a top trending topic in India and worldwide after creating history by entering the orbit of Mars on its first attempt. So, here we have some moments of Tamil Cinema in Outer Space. THAT MOMENT OF PRIDE FOR INDIANS! The 10 Best Moments of Behindwoods Gold Medals! Actors who got the Madras slang right ? A Hollywood movie completes 100 days in Chennai! Space, Space, Everywhere, Not A Place to Rest! This page hosts a weekly slideshow related to Tamil movies. Each slide includes a picture and some description about that picture. All the slides will have a recurring theme. People looking for actress stills, actress images, actor stills, actor images, movie stills, movie images, and other interesting topics, relevant issues in Tamil cinema will find this page useful. That moment of pride for Indians! | Tamil Cinema in Outer Space !.